"I met my wife in a speech class--so then we got married after we graduated--and we have been married 55...54 years. Then we moved to Oregon...this was in 1966." 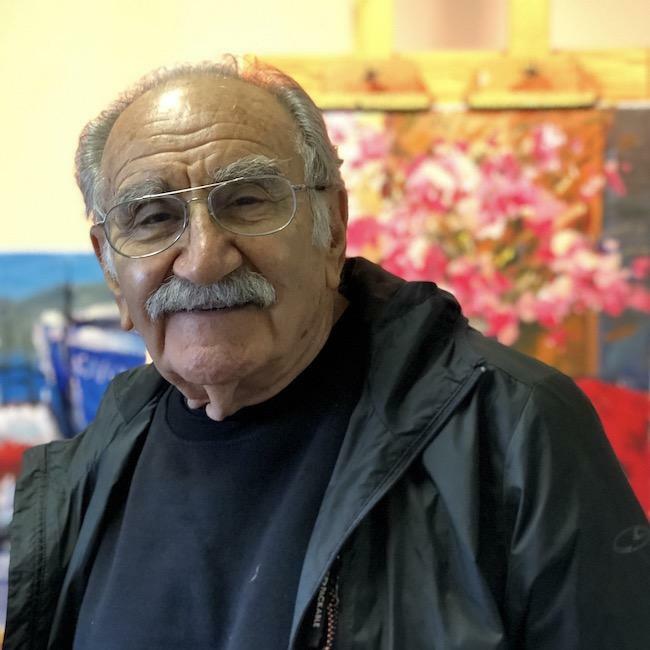 Even though Sarkis was a pharmacist for 35 years, he always wanted to be an artist, so he found Maude Kerns Art Center right away in the 1960s. "So I found Maude Kerns, and I stayed with them for so many many years. They had a very small gallery in the corner and Candy Moffat was taking care of it, so she asked me to put my paintings over there, and I did. " "I have seen so many things change, but it has been wonderful for me. It’s just like home, you know." When you take in the Members Show, look for Sarkis Antikajian’s colorful, joyous impressionistic oil paintings. "You know, the best compliment I get is when people after 10-15 years, let’s say they bought a painting from me, they say, “Oh, it make me so happy,” oh I tell you, that’s IT! That’s what makes me feel great!" The Maude Kern’s Members Show will make you feel great, too. Take it in before December 15. Viz City is co-produced by Terry Way and Sandy Brown Jensen. Learn more on the Viz City blog on KLCC.org slash vizcity. Sarkis Antikajian has this showroom on the ground floor of his gallery building and his painting studio upstairs.